When Walt planned Epcot, he envisioned a place where people would live and work. The area would have the essentials for daily living, but it would also provide some really cool entertainment. He wanted to promote understanding and communication across cultures with a permanent World’s Fair kind of feel. A series of events within the Walt Disney Company, including Walt’s death in 1966, led to Epcot becoming more of a theme park than originally planned. 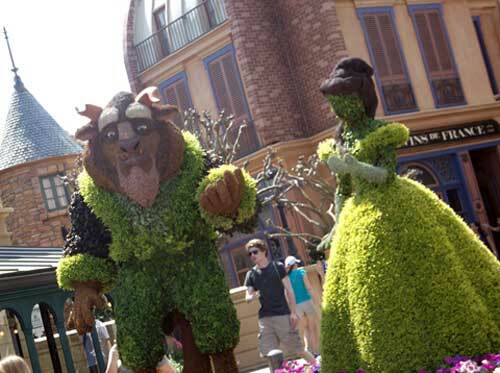 However, Disney Imagineers stayed true to Walt’s original ideas in many ways, including with World Showcase. This area is one of two major areas of Epcot (the other being Future World), and today there are 11 country pavilions contained within its borders. Each of these countries can showcase their culture through culinary delights, merchandise, live acts, and art. They are each staffed by young adults (mostly students) from the respective country. In many ways, these pavilions have created an idyllic sense of being transported into each country. Now that you have a little bit of background information, let’s take a look at this guide to World Showcase. Our journey starts in Mexico since that is the first country you’ll find when you enter World Showcase from Future World and go clockwise. Mexico provides an authentic look at the country’s history and what you might find if you visited today (minus the ongoing dangers that visitors face). There are not one but two table-service restaurants (La Hacienda de San Angel and San Angel Inn Restaurante), a quick-service restaurant (La Cantina de San Angel), and a tequila and margarita bar (La Cava del Tequila and Choza de Margarita). Inside the Mayan temple replica, you’ll experience eternal sunset while you shop the Mexican marketplace including La Princesa de Cristal (a glass and crystal shop), La Tienda Encantada, Plaza de los Amigos, El Ranchito del Norte, and a hand-carved ring stand. Make sure you see the Mariachi band, and don’t miss the traditional wood carvings at the Mexico Folk Art Gallery. 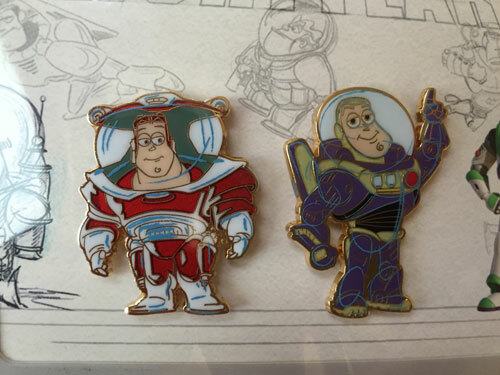 They’re hand-painted, and you can even take one home with you as a souvenir! 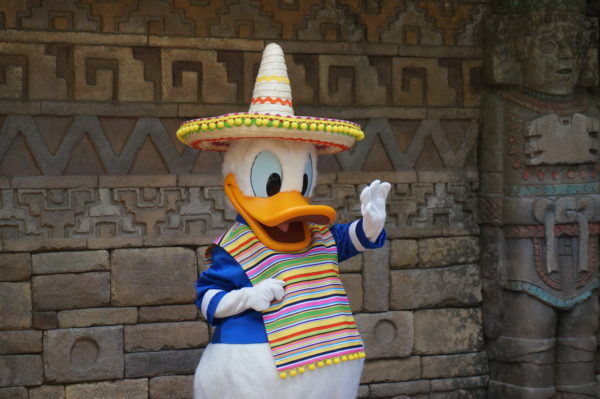 Don’t forget to meet Donald Duck whom you can also see in the Gran Fiesta tour. 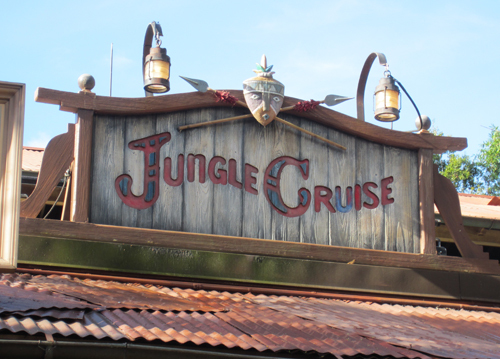 Teh Gran Fiesta tour is one of only six (soon to be seven) attractions around the lagoon. Meet Donald Duck in his sombrero in Mexico! Next is Norway, which was added in 1988. This pavilion recently underwent some major reconstruction mainly to remove the Maelstrom ride. The replacement was Frozen Ever After and an Anna and Elsa meet and greet at the Royal Sommerhus. There’s also a gift shop called Wanderin’ Reindeer where you’ll find Frozen-themed costumes, apparel, plush, and toys. But Frozen isn’t the only thing about Norway. The 4/5 scale replica of Gol Stave Church represents traditional churches of many towns in Norway, but inside is a gallery showing how the culture of Norway influenced the development of Frozen. The Puffin’s Roost is a gift shop without Frozen souvenirs. Make sure you take your picture with the giant troll! If you’d like to experience some traditional Norwegian cuisine, there are two options here. Kringla Bakeri Og Kafe is a counter-service dining location with traditional pastries, Viking Coffee (coffee with Baileys Irish Cream and Kamora Coffee Liqueur), and Norwegian beer. Akershus Royal Banquet Hall is a table-service restaurant serving breakfast, lunch, and dinner, and the latter two are character meals. If you can’t get reservations at Magic Kingdom‘s Cinderella’s Royal Table, Akershus is a good alternative because you’ll find the same princesses! The China Pavilion is serene and beautiful. 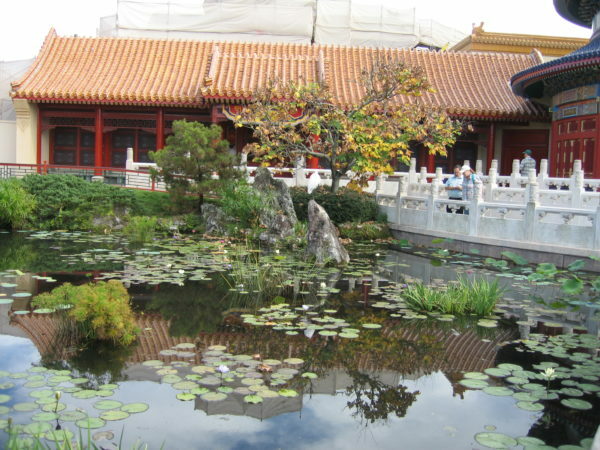 The replica of the Temple of Heaven is the main architectural feature here, and there are several traditional Chinese gardens and lotus ponds. The lotus flower is a symbol of Epcot because it is a beautiful flower that grows out of murky waters and represents peace and unity; Walt wanted Epcot to bring cultures together, so it’s an appropriate representation. 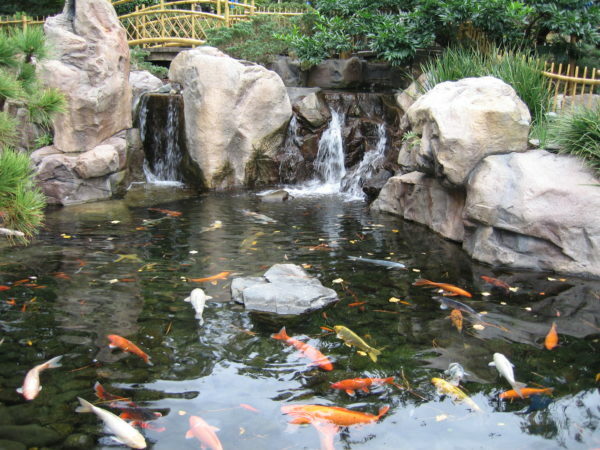 There are beautiful water features in China. This pavilion is steeped in culture, and another way guests can experience that is through Reflections of China, which is a Circlevision 360 film narrated by Tang Dynasty poet Li Bai. The original version, made in 1982, was the first time that American film crews were allowed into the country. The current version was made in 2003, but if Disney follows through with the announcement made at the recent D23 conference, China will be getting a new version using digital cameras and updated technology that will greatly enhance the viewer’s experience. There are two counter-service dining locations and one table-service restaurant here. The Joy of Tea is an outdoor stand serving traditional Chinese teas, including the delicious Bubble Milk Tea, and some snacks. The Lotus Blossom Café offers traditional Chinese favorites in a quick-service environment. Nine Dragons is the table-service restaurant; it offers a variety of Chinese cuisine including Cantonese, Mongolian, Szechuan, Hunan, and Kiangche-style. Germany is a really fun pavilion, and it accurately represents the country from the architectural styles to the cuisine and the wares. One of my favorite parts of the area is a simple pleasure: the outdoor Garden Railway. 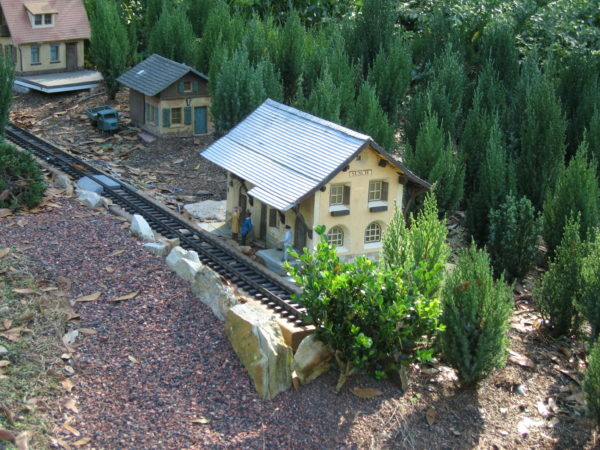 G-scale trains travel through a miniature German countryside and village. I could stand here all day and watch them! Don’t miss the miniature train exhibit in Germany. Food is a major focus of the pavilion. The Biergarten Restaurant is a sit down dining locations where Advanced Dining Reservations are highly recommended. This year-round Oktoberfest serves German food buffet style and beer in steins as polka music plays in the background. During typical dining times when the restaurant gets really busy, it can get quite loud and boisterous, but it’s also a ton of fun! Sommerfest serves similar food in a quick-service atmosphere. There are several smaller kitchens like Karamell-Kuche where you’ll find delicious chocolates and caramels, plus freshly made caramel corn. Germany is known for their toys, and Der Teddbar sells traditional German toys and gifts plus unique teddy bears and Rapunzel and Snow White dolls. Speaking of Snow White, you can meet and greet her in Germany. Other souvenirs can be found throughout the pavilion. Get an engraved stein at Glaskunst, accessories at Das Kaufhaus and Stein Haus, housewares at Volkshunst, and arts and collectibels at Die Weihnachts Ecke. Italy is a smaller, less eventful pavilion in World Showcase mostly because there isn’t an attraction here. Disney once talked about adding a romantic gondola ride through Venice, but it never came to fruition. Regardless, the focus here is food and architecture. Near the front of the pavilion is a replica of St. Mark’s campanile, which is a bell tower, and a recreation of Doge’s Palace, where the supreme authority of the former Republic of Venice lived. In the middle of the pavilion is a Statue of Neptune, a popular place to pose for photos. 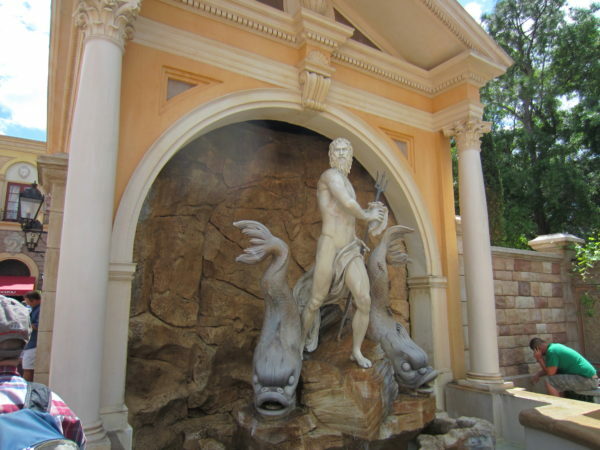 The Statue of Neptune is a popular photo spot in Italy! If you’re looking for some delicious, authentic Italian food, this is the place to go! Tutto Italia Ristorante is a table-service restaurant where you can find full meals including pasta, seafood, and chicken. Via Napoli Ristorante e Pizzeria is also a table-service restaurant serving Italian plates, but the best dish here is by far the wood-fired Neapolitan-style thin crust pizza. It is probably the best pizza inside a Walt Disney WOrld park. These restaurants fill up quickly, so ADRs are recommended. Both of these restaurants serve dessert, but you’ll really want to try the cold Italian Gelato at Gelati where you’ll find a variety of flavors served in a cup or cone. If you’d like a liquid dessert, check out Tutto Gusto Wine Cellar where you’ll find over 200 varieties of wine and beer. They also serve snacks and small plates at this table-service restaurant. There are also a couple places in Italy to pick up some nice souvenirs including Il Bel Cristallo, an apparel and accessories store selling hand bags and scarves, and La Gemma Elegante where you’ll find arts and collectibles. The American Adventure is halfway around World Showcase Lagoon. The premier attraction by the same name is a 30-minute theatrical presentation of American history from the 1600s to today featuring some iconic American figures like Susan B. Anthony, Thomas Jefferson, and Will Rogers. The show, which combines scenes on film with sets and audio-animatronics, is hosted by Ben Franklin and Mark Twain and discusses the good and the bad equally, explaining how and why America is what it is today. Outside in the lobby are some original paintings and an amazing A Capella group called Voices of Liberty perform throughout the day. 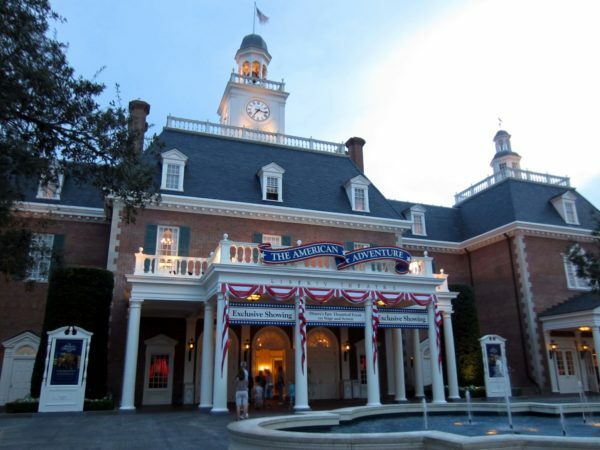 The building that houses The American Adventure and all surrounding buildings in the pavilion are made in the architectural style of Independence Hall and colonial-style. The architecture in the American pavilion has a very colonial theme. There are also several dining locations here including Block & Hans (a walk-up stand serving ale and craft beers with pretzels and cheese), Fife & Drum Tavern, a quick-service stand with turkey legs, popcorn, root beer floats, beer, and wine, and The Liberty Inn serving up American classics. There’s also a walk-up funnel cake stand. Heritage Manor Gifts and My Heritage Books are the gift and souvenir shops in the pavilion. The Japan pavilion is a mix of traditional and modern culture. With the Japanese gardens and koi pond to the replica of the seventh century Horyuji Temple, you’ll love the beauty of this pavilion. Learn about and appreciate Japanese history and art in the museum, and listen to the traditional drumming on the porch of the pagoda. Modern culture comes in the Bijutsu-Kan Gallery where you’ll learn about the origin of Japanese “cute” culture. The Mitsukoshi Department Store is a pretty cool place where you can find Japanese wares including apparel and accessories along with candies and trinkets. The koi pond in Japan is so relaxing! There’s no attraction in the Japan Pavilion, but there is a large warehouse in the back of the pavilion where an attraction was planned but never opened. There is, however, a lot of good food in Japan! The Kabuki Café is a quick-service restaurant where you can get otsumami-style sushi, kakigori, and alcoholic and non-alcoholic Japanese beverages. Katsura Grill is also a quick-service location with more familiar foods like teriyaki chicken, soups, salads, and drinks. Teppan Edo is a fun Japanese restaurant with an on-stage grill. Tokyo Dining is the other table-service restaurant here, and they serve sushi, steak, fish, and more in bento boxes. Both table-service restaurants offer ADRs. 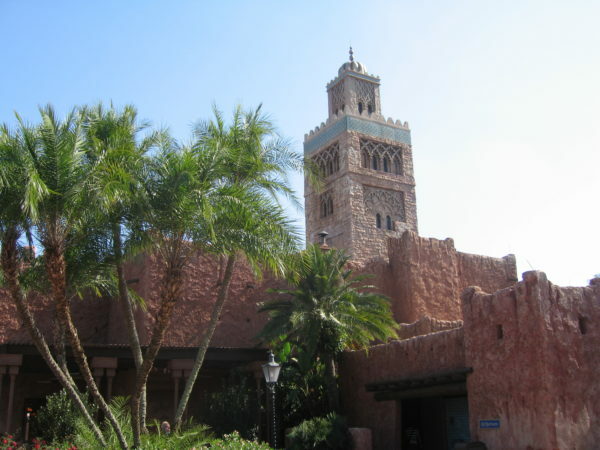 Morocco is a very special pavilion because it’s the only pavilion in World Showcase where the featured country was involved in the design and construction. Morocco, known as the Jewel of North Africa, sent artisans to help with building. This is obvious as soon as you enter the pavilion with a replica of the 12th century prayer tower, called Minaret, stands tall above the pavilion. Because of all of the incredible detail that went into the design, including handmade mosaics and mosaic tiles created by Moroccan artists, the Morocco pavilion wasn’t completed until 1984. There are a few areas in this pavilion. The Gate to Medina, or the old city, has a busy marketplace bazaar where you can get a temporary henna tattoo. Ville Nouvelle, the new city, showcases modern art, lifestyle, and landscape of Morocco. The National Tourism Office is also here along with some entertainment from musicians, belly dancers, and acrobats. There’s even more Moroccan art, artifacts, and costumes in the Gallery of Arts and History. Make sure you stop to admire the replica of the Bab Boujouloud gate, which separates the old city and the new city. Art isn’t the only thing that Morocco has to offer guests though. The dining here is as authentic as it gets! Restaurant Marrakesh serves traditional Moroccan dishes including roast lamb, shish kebab, and couscous in a table-service atmosphere. You can also enjoy Moroccan musicians and belly dancers. This is such a fun restaurant, that Disney definitely recommends making your ADRs 180 days in advance for on-site guests and 60 days in advance for off-site guests. Spice Road Table is also a table-service restaurant that is very popular late in the evening because it’s located at the edge of the World Showcase Lagoon making it a perfect location for viewing IllumiNations. Also, Morocco is one of only two pavilions in World Showcase that don’t light their buildings during the nighttime show, so it’s a unique view with less light pollution. The other is Norway. Neither the Marinet in Morocco nor the Stave Church in Norway light because of their religious significance. The Marinet tower in Morocco doesn’t light for IllumiNations because of its religious significance. There are also two quick-service dining locations including Tangierine Café, serving shawarma platters, pastries, and burgers, and the Morrish Café and Pastry Shop serving crepes, pastries, mint tea, and coffee. Paris is the city of love and amazing food, and the France Pavilion in World Showcase accurately represents the culture of the country. When you think of France, you think of the Eiffel Tower, and there’s a 1/10th scale replica in the pavilion using forced perspective to make it look full-size. The streets wind all around giving the feeling of being in the old city of Paris. Impressions de France is a film attraction in the pavilion with music from classic French composers and 200-degree views of French scenes. 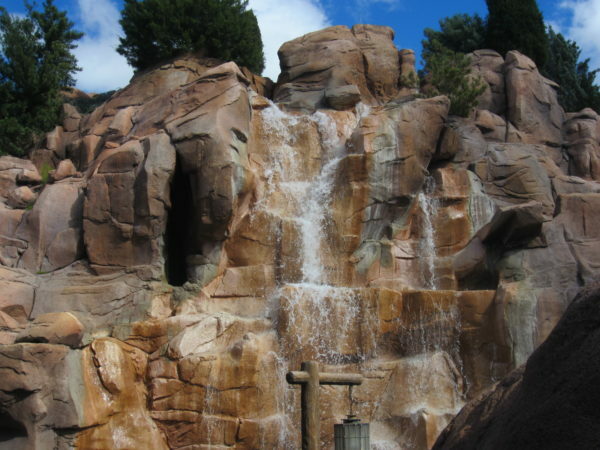 This is the only attraction in World Showcase that has remained unchanged since it opened in 1982. It appears a little dated, but it is still fun to see. Speaking of the old, let’s move to the new. At the most recent D23 Expo, Disney announced that they would be adding a new Ratatouille-themed attraction where guests will shrink down to the size of Remy the rat-chef on an adventure through a restaurant, and construction has already begun. As I said, food is a main focus in France. Chefs de France is a table-service restaurant where ADRs are recommended mostly because the menu changes seasonally, so it’s never the same. Outside, Crepes des Chefs de France is an attached walk-up stand where you’ll find a variety of crepe flavors plus cappuccino and espresso. There’s another quick-service stand attached to the restaurant called Les Vins des Chefs de France where you can get French wine, champagne, or a frozen cocktail. 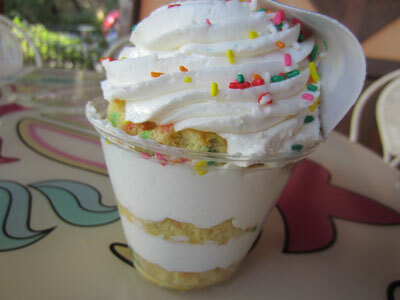 L’Artisan des Glaces is another walk-up stand nearby where you can get frozen treats like ice cream and sorbet. 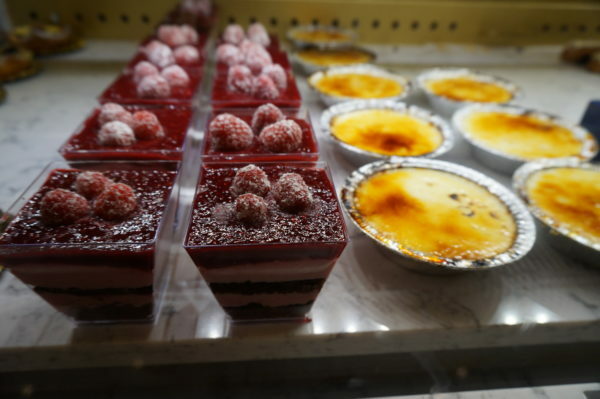 Les Halles Boulangerie-Patisserie is a French bakery great for breakfast, lunch, or a light dinner. Last but certainly not least is Monsieur Paul, a gourmet French restaurant that is as fancy as it sounds. This dining experience can take several hours just like in Paris. ADRs are recommended here. Since it’s on the second floor, it offers some amazing views of World Showcase and especially of IllumiNations at night. The food in France is beautiful and delicious! One really cool thing about France is that there is a back gate right next door. 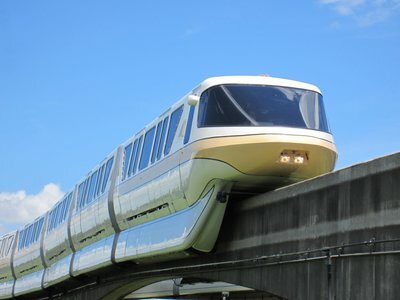 It’s called the International Gateway, and it’s within walking distance of the Epcot area resorts including Disney’s Beach Club Resort, Disney’s Yacht Club Resort, Disney’s Boardwalk Inn. If you’re looking for something to take home, check out Souvenirs de France or meet and greet Belle for her signature and a picture! The United Kingdom Pavilion is set in London with cute British shops selling teas, tea sets, toys, clothing, and accessories. “Keep Calm and Carry On” is a common theme here. Get your fish and chips in the UK! 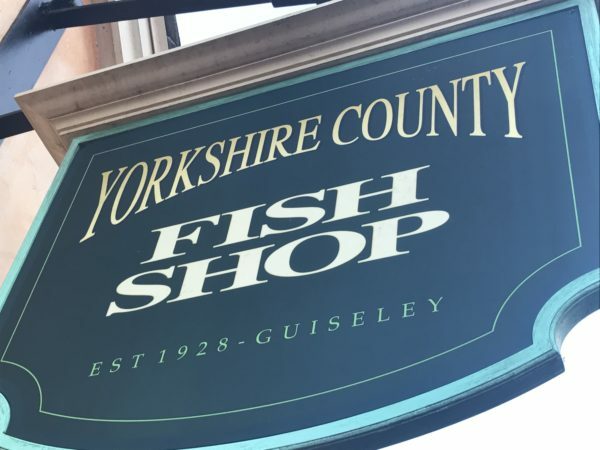 Fish and Chips is a popular meal in the UK, and it can be found in many places around this pavilion including Rose & Crown Dining Room, Rose & Crown Pub, and Yorkshire County Fish Shop. Rose & Crown Dining Room, the only table-service restaurant here, serves other British favorites as well including bangers and mash and cottage pie. The dining room can get very busy so ADRs are suggested; the Pub also gets very busy, but they do not accept reservations. Beer and ale are also popular, so all of the restaurants listed here sell these alcoholic beverages. There’s also the UK Beer Cart to help keep up with the demand. The UK isn’t just about fish, fries, and beer though. It’s also famous for their red telephone booths and their roses, both of which make great photo ops in the pavilion. Pick up the phone if it rings! They really work! There’s no attraction in the UK, but you can meet some of your favorite British characters like Alice, the Mad Hatter, and Mary Poppins. Canada, our neighbor to the north, is the last stop on our trip around world Showcase. This picturesque pavilion features beautiful gardens similar to the Butchart Gardens in British Columbia and beautiful waterfalls! There’s an overarching theme of nature in the Canada Pavilion. There are several shops here built in an area called Hotel du Canada that resembles Chateau Laurier, a well-known hotel in Ottawa. On the lower level of the pavilion, almost like in a cave, is the O Canada presentation, a Circlevision 360 film that takes viewers on a virtual tour of Canadian cities, the culture, and eve the landscape. If you happen to be in Disney World and you’re craving some amazing surf and turf, Le Cellier Steakhouse is a premier fine dining table-service restaurant in the Canada pavilion. Your mouth will water when you taste the delicious food! Be sure to make your ADRs so you can guarantee your spot! 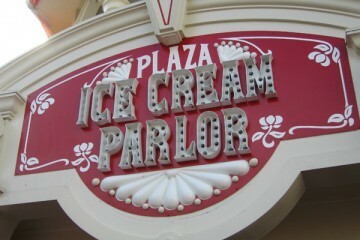 Which World Showcase Pavilion is your favorite?